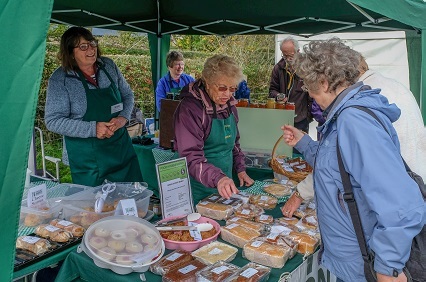 Arnside Country Market is held every Friday morning between 9.30 and 11.30 in the WI Hall on Orchard Road, Arnside. Local home baking, seasonal preserves, fresh eggs, hand-made chocolates, fresh fish, home-grown flowers, fruit & veg and a selection of plants. There are also stalls selling crafts and watercolours. Refreshments available. All welcome. Free admission.